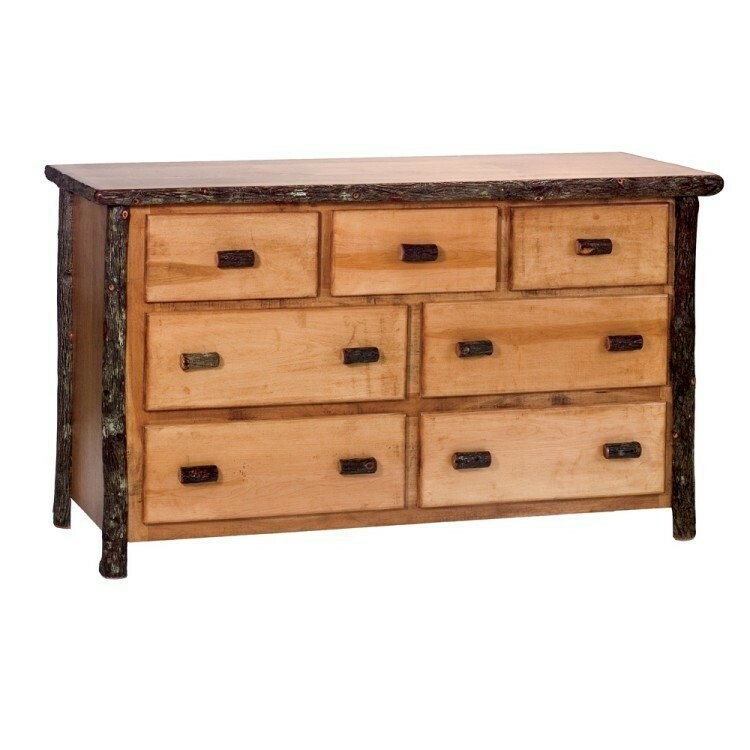 Enjoy the same rustic look as our premium seven drawer dresser with this 7 Drawer Hickory Dresser-Value Line-Designer Finish. It is hand-crafted with all hickory logs that are bark on and kiln dried to a specific moisture content. Bottom 4 drawers are 8" deep and have a .5" overlay for added beauty. Available in your choice of three designer stain colors that are topped with a clear-coat catalyzed lacquer finish for extra durability.